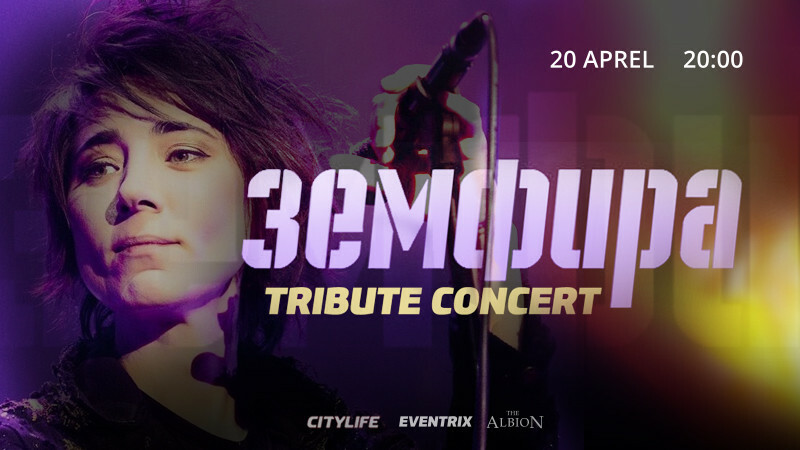 Zemfira Tribute Concert in Albion Klub buy tickets online. Delivery of tickets for the event Zemfira Tribute Concert. You're invited to the concert devoted famous singer Zemfira. You will hear all of Zemfira's most favourite hits performed by a cover band and guest vocalists. The concert will take place in the club / concert hall The Albion. Club The Albion means comfort, quality, capacity for 500 people and affordable prices. The club is located in the center of the city, not far from the Central Department Store, behind the Araz cafe on the fountain square. There's a lagrge parking facility nearby. Ticket prices: standard 15 AZN, seats (tables) 20 AZN. For all questions and inquiries, you can contact "(050) 340 70 84".